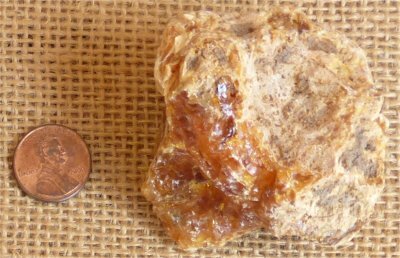 Kauri Gum can help incease our psychic skills in the form of prophecy; also allowing you to easily return to your non-spiritual bodies. It stimulates the Crown Chakra and the Solar Plexus Chakra, which Melody credits with being in charge of the intellect. This stone purifies the environment it is in; cleanses everything around it. Kauri Gum is delicate and can be broken easily if you are not careful with it. This stone can bring you peace when there is much going on around you. It can help us keep our center calm. Kauri Gum is held by the Maori (native tribe) of New Zealand as sacred. It is used in fire ceremonies, and it is also used to smudge areas. Kauri Gum can help heal infections. This stone can transmute energy that is in disarray into good healing energy that is needed. It is also very calming. DISCLAIMER: Crystals are to be used along with good standard medical care, not as a substitute for good medical care.